Finalizing a divorce involves many decisions, including who gets the house. There are generally two choices regarding real estate - it can be put up for sale and the proceeds split, or one party can "buy out" the other. In either case, one or both parties would be wise to order an appraisal of the joint real estate. When the intended use of an appraisal is a couple splitting up, it requires a well-established, expert report that is defensible to a judge. Miller Realty guarantees the very best in service with professional courtesy and the highest quality appraisal. 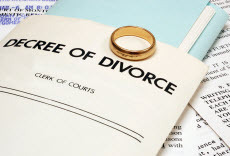 Taking into account the sensitive challenges of a divorce situation is common territory for us. Miller Realty is at your service whenever you need an appraisal related to a divorce or other separation of assets. California attorneys as well as accountants rely on our analysis when ascertaining what the real property is worth for estates, divorces, or other disputes needing a value opinion. We have a great deal of expertise working with everyone involved and we understand their needs and are accustomed to dealing with all parties involved. We submit appraisal reports that meet the requirements of the courts and various agencies. For legal professionals dealing with a divorce, your case's evidence typically needs an appraisal to ascertain fair market value for the residential real estate involved. A great deal of the time the divorce date may not be the same as the date you requested the appraisal. We're experienced with the methods and what's fundamental to do a retroactive appraisal that has an effective date and Fair Market Value estimate corresponding to the date of divorce. For each divorce appraisal we handle we remain cognizant of the fact that they require prudence delicately. The Uniform Standards of Professional Appraisal Practice (USPAP) contains an ethics provision which binds us with confidentiality, guaranteeing you the utmost discretion.